Dreamhack Masters! It sounds like something that occurs exclusively in a cheesy science fiction film from the 80s, possibly involving good-looking heroes entering into dreams and riding hover boards. 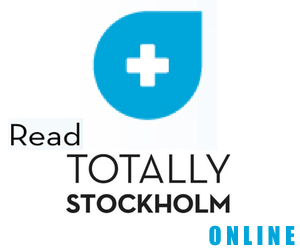 But we have some excellent news; Dreamhack does not belong to cheesy 80s films, it happens to be an eSports event that happened in Stockholm. The event involved 16 teams facing off, going all out in multiple rounds of digital, gun blazing action, hoping to get their hands on a grand prize of a whopping $250,000. Yes, it sounds more like an 80s science fiction action movie than ever before, but is still something that took place in the real world. Before we get to the nitty gritty of what went down at Dreamhack 2018, we need to explain what what exactly eSports are, and why they are getting so much attention lately. There is no sport in the world that has been growing at the rate of eSports. It has been expanding and gaining fans at an incredible rate, with predictions being that it will soon be one of the dominant sports genres in the world. To put it simply; eSports events are competitive video games played on a professional level. The teams involved are made up of highly skilled players, who have dedicated their lives to mastering the intricacies of exceptionally nuanced team based games. 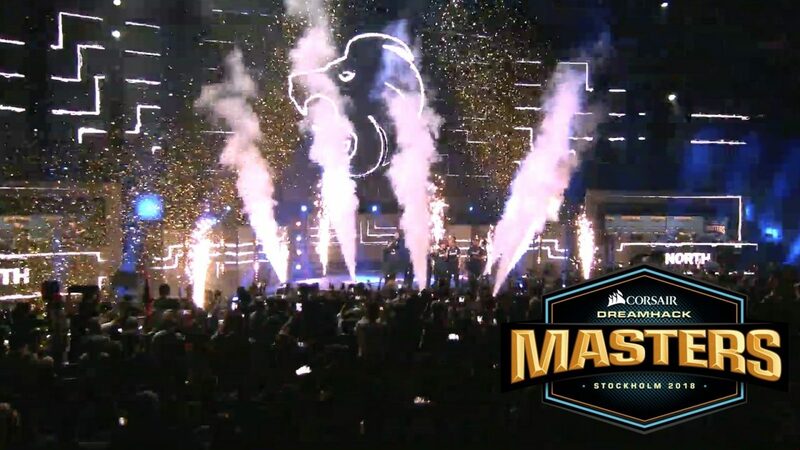 In the case of the Stockholm Dreamhack Masters, the games of choice were Counter Strike Global Offensive, Hearthstone, Heroes of the Storm, and Battlerite. Counter Strike Global Offensive, also simply known as CS:GO, was the main draw card of the event, and is the most popular eSport in the world. It is first person shooter game that puts two teams head to head, with only one goal in mind; kill all members of the other team. The action is fast paced, brutal and highly unforgiving, making for a pulse-pounding experience for both players and viewers. The team that wins in the game is certainly the one that has learned to work together like a well-oiled machine, and have the reflexes of a coiled cobra. The matches at Dreamhack were everything anyone could have hoped for, with a few unexpected surprises thrown in to keep things nail biting until the last second. Exactly what you’d expect from Ninjas in Pyjamas, Astralis, North and Mouz, the 4 teams who made it through to the semis and finals. In the end though, it was North who beat Astralis to win the $250,000 grand prize. Fancy Yourself A Professional Gamer? One of the greatest things about eSports is that it still young, evolving and growing even as it massively expands in popularity. We know what you’re thinking, and you’re right to be thinking it. You play a great deal of video games; even fancy yourself something of a prodigy. Well, it just so happens that it’s possible, if you really do have what it takes to push your gaming from the realms of being casual, into a full time job. Which will involve some serious responsibility, just to be clear. A great start is to attend events like Dreamhack Masters, see what professional gaming looks like, and seriously consider if you play on the level of those who really are doing it for a living. It probably wouldn’t hurt to get in as much practice as you can in the meantime, and maybe do a little bit of reading. Good luck, and don’t let anyone tell you it’s impossible to get rich playing video games. Although that’s probably true, unless you’re genuinely serious about it. Dreamhack Masters is first and foremost about eSports, but that wasn’t the only draw card on the table. Visitors were treated to a ton of quirky activities to keep them laughing between the Counter Strike gun battles and silent tactical pondering of Hearthstone. From sumo wrestling to dodgeball, Dreamhack had everything you could ask for. Fancy yourself a dancer, more than a professional gamer? The dance contests would have kept you on your toes, and perhaps even landed you a bit of your own personal glory. Or, if dancing is too gentle for you, the zombie mazes would perhaps have been a bit more up your alley. What are zombie mazes? Exactly what they sound like. A maze populated with flesh eating zombies. Or, at least a few dedicated actors dressed up like zombies. On the other hand, if zombies are one of your triggers, you could have just settled for one of the obstacle courses. The point is that there were more than a few fun activities to get involved in, and the more than 50,000 people who visited did just that. Either way, for eSports enthusiasts or lovers of zombie mazes, Dreamhack Masters was a smashing success. Be sure to get your ticket early the next time an event is held and be part of the fun, excitement and entertainment satisfaction. Or perhaps even work on your own professional gaming, and be one of the contestants. Keep an eye out for future announcements, get your ticket early, and we’ll see you there.